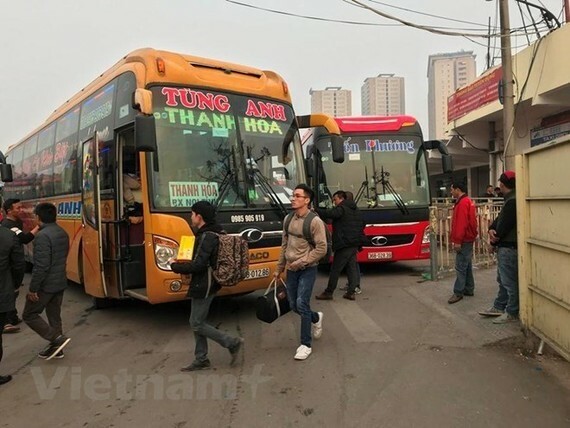 Hanoi’s Department of Transport has planned to switch four major bus stations in the inner city, including Gia Lam, My Dinh, Giap Bat and Nuoc Ngam, into car parks and inner-city bus interchanges by 2020. This is part of the department’s draft plan to improve parking lots, bus stations and bus interchanges by 2030 with a view to 2050. Plans have been submitted to the municipal People’s Committee for approval. Under the draft, the four bus stations would still be places to pick up and drop off passengers but they would be gradually transformed into parking lots. Gia Lam and Giap Bat bus stations are the first to be completed in 2020 with My Dinh and Nuoc Ngam following five years later. The department also said the city would complete the construction of six new bus stations with total area of 73 hectares by 2030. 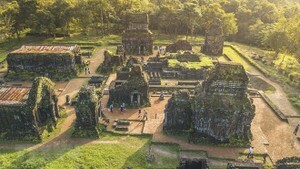 Noi Bai Bus Station in Soc Son district, Dong Anh Bus Station in Dong Anh district, Co Bi Bus Station in Gia Lam district, Phung in Dan Phuong district, Western and Southern stations in Hoai Duc and Thanh Tri districts would replace the four current ones. New bus stations in the Belt Road 4 area, are more convenient for passengers to travel inter-province routes and also help ease traffic congestion in the inner city. The department said it would mobilise organisations and individuals to invest in the car parks, especially those who wanted to build underground or multi-storey lots. Hanoi has nine inter-province bus stations, covering a total of 17.9 hectares of land. Four of them, Giap Bat, My Dinh, Gia Lam and Nuoc Ngam, are in populated areas, causing traffic pressure to the city centre. Hanoi, as well as other big cities, is facing a severe shortage of parking lots. Some 590 with total area of 38.9ha are currently in use in the central areas of the city, meeting only 8-10 per cent of parking demand in these areas. Due to limited public land, public parking lots throughout the city only serve 66 percent of the total demand, highlighting the need for more spaces, especially in new constructions.